An Interview With the NASA NEEMO 12 Crew and Their Mascot "Flat Gorby"
Editor's note: On Wednesday I did a short (5 minute) live interview with the NEEMO 12 crew from their Aquarius underwater habitat. As the interview before mine was being conducted, I noticed something rather curious on one of the Aquarius webcams: someone inside Aquarius was fiddling with a giant refrigerator magnet - one that features a nearly life-sized dog. When I asked what this was I was told that it is called "Flat Gorby". 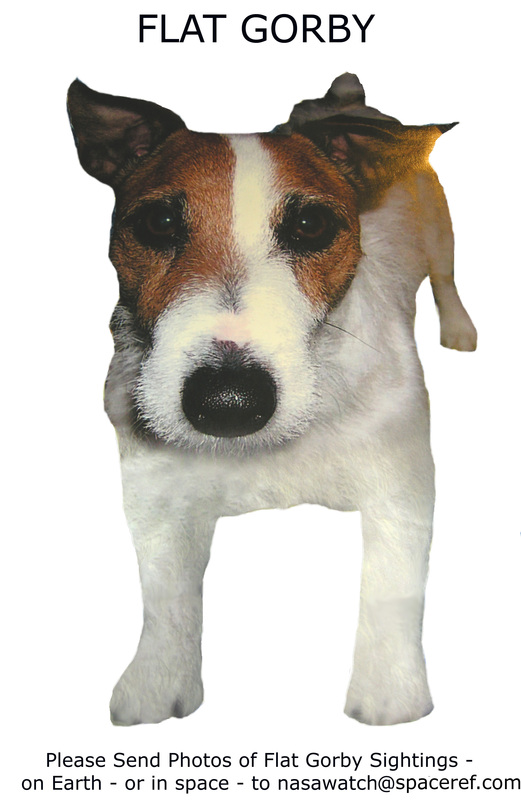 "Gorby" is ISS Expedition 15 astronaut Suni William's dog. According to Williams official bio: she has "a crazy Jack Russell Terrier named Gorby". My wife and I have two cats. I understand. Apparently the NEEMO folks have been taking Flat Gorby wherever they go. Make your own Flat Gorby magnet (new 1.2 MB hi res image) - and send us a picture of where Gorby ends up around the world. I started by asking "If you haven't noticed, I have been a big fan of NEEMO and what is being accomplished down there for a long time. I'd like to ask you a specific question. Of all of the obvious benefits that come from the things that you are working on, have any of the things that have been done down there - maybe not by your mission - but by previous missions - been specifically translated into new protocols or procedures? Have they had direct input into any hardware design? Can you give me some very specific examples? We all know the general benefits - we just heard some of them in the previous interview a few moments ago. Can you give me specific results from the NEEMO missions that have been implemented in to actual "stuff"?" NEEMO 12 Commander Astronaut Heidemarie M. Stefanyshyn-Piper: "We are doing a number of life science experiments similar to studies that they are doing on-orbit in space. They are also looking at them here in the Aquarius habitat because many of the studies do not necessarily need the space environment. They are looking at environments where the crew is in a confined space in a stressful situation. They are looking at how the body reacts to that and looking at stress levels. So, for that you don't necessarily need to be in space. That is an ongoing experiment but it is one that we are feeding data into." Male Crew member (either Dr. Josef Schmid or Dr. Timothy J. Broderick): "A good one would be the Persistence Visuals Testors - the "PVT boxes" - that assess our cognitive skills and readiness to see if we are ready to perform tasks. That has been very successful and is proving worthwhile." Male Crew member (either Dr. Josef Schmid or Dr. Timothy J. Broderick): "We are also running medical drills - we ran one where we had a simulated emergency. We did this using the same procedures that we used on ISS to run that same medical drill up there. We are making changes to our medical checklist so as to be able to better support an astronaut if they get critically ill or injured." Astronaut Jose M. Hernandez: "As our commander Heidi was saying, it is this type of environment that allows us to obtain some operations training here before we actually go on to a real space mission and it will make us work more efficiently once we are up in space." I then asked: "Your stints down there are perhaps a week and a half or so long. Having spent two stints myself up at Devon Island - for a month each time in a similar analog - there is an obvious difference between a short stay and a long one. Not just the psychological factors but also performance issues. Have you given thought - or has NASA given thought - to taking NEEMO missions and making them much, much longer - possibly a good portion of the length that you would see for an ISS mission - such that the things that were just discussed could get a fuller run?" Heidi: "I know that they have looked at it. There was a previous NEEMO mission, NEEMO 9, that was 18 days in length. Again, not quite as long as an ISS mission,. I know that there have been some discussions. We're not the ones down here to make that call as to whether or not there is a longer mission or if they are looking at going to a 30-day mission. I do not know if a 6 month mission is even possible here in the habitat." Male Crew member: "It is possible - but I think 30 and 60 days are the length of missions that they are currently discussing for an ISS analog." My last question: "Whose dog is that on the refrigerator?" Heidi: "The dog on the refrigerator belongs to Suni Williams and she is currently on the ISS. 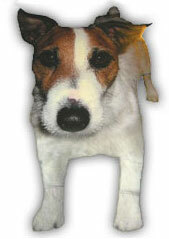 So, that's "Flat Gorby" and we take him along as one of the things we are doing for Suni. This is just like "Flat Stanley" [which has been involved with] school children and has been different places around the country. We are taking Gorby with us."